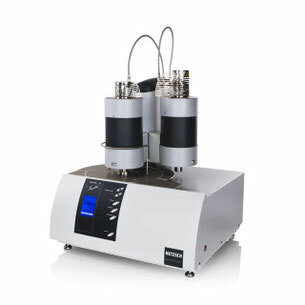 Simultaneous thermal analysis (STA)(thermogravimetry and differential scanning calorimetry). 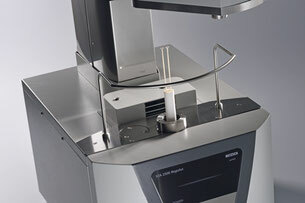 Simultaneous use of thermogravimetry (TG) and differential scanning calorimetry (DSC) is the simplest example of STA device, allows to obtain more information than using two separate devices. The best analysis of the signals, as available at any time two or more sets of data describing the behavior of the sample, which allows to distinguish the phase shift of the decomposition reaction, the addition reaction of the condensation reaction of pyrolysis, oxidation and combustion, etc. The very beginning of its existence, NETZSCH-Gerätebau GmbH gives high priority to the development and further optimization of their STA devices, currently occupying a leading position in the market research equipment due to their excellent performance. NETZSCH STA instruments companies equipped with appropriate tools and the necessary standards for TGA and DSC. NETZSCH STA 449 F1 Jupiter® - (STA: TG and DSC). NETZSCH STA 449 F3 Jupiter® - (STA: TG and DSC). Through to the vacuum tight design measurements at defined atmospheres (e.g. inert) are possible. The system is controlled by a newly developed integrated digital electronic device. 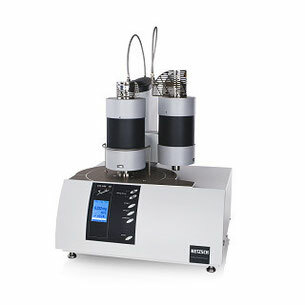 STA 2500 Regulus – Simultaneous Thermal Analysis.